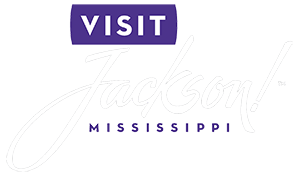 When the brisk breezes of autumn welcome the Deep South, the city of Jackson offers an array of spectacular events. Each of these lively celebrations is designed to teach visitors about our local culture. One of our guests’ favorites is Oktoberfest in Mississippi. There many festivals like this in October, but the one in Jackson is the best! Jacktoberfest, the official name, blends brews, brats, and bands into a magnificent one-day extravaganza on Congress Street. Let us at Fairview Inn help you plan your best trip yet! When you request a copy of our free Vacation Guide, you’ll find our top recommendations for area attractions, annual events like Oktoberfest in Mississippi, and historic sites. Our guide also features the stunning accommodations and tantalizing provisions at our boutique hotel! With so many fascinating festivals this year, you’re sure to have an incredible time experiencing our downtown. Read over our local insights to see what to expect at our local Oktoberfest in Mississippi! Jacktoberfest is held in October beginning mid-day and ending around midnight. If you drive there and park before 5 p.m., you’ll have to pay a regular meter, but after 5.p.m., downtown parking is free! In addition, there are several parking garages near the venue. Whether you want to purchase food, drinks, or memorabilia, cash is the only acceptable form of payment. You can find many ATMs near this Oktoberfest in Mississippi festival! Jacktoberfest was conceived from the notion of fun-filled entertainment and jubilee-like atmosphere. 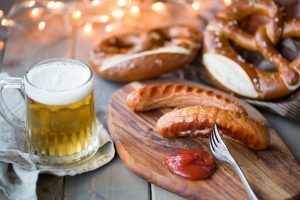 This Oktoberfest in Mississippi event began in 2007 and continues to boast an exciting environment for visitors to enjoy friends, food, and conversation. You don’t want to miss out on this cultural celebration! As you walk around, you’ll smell the aromas of authentic flavors of Bavaria filling the air. You’ll find veggie burgers and German street foods like pretzels and the legendary brats. In fact, we urge you to try the Jacktoberfest Combo, a bratwurst with sauerkraut and a side of chips. These wonderful treats pair perfectly with one of the fantastic beers! In traditional German fashion, a lavish selection of beer will be offered at Jacktoberfest. You’ll find dozens of domestic brews and imported delights from Germany! Each of the beers is entered into the annual Craft Brew Competition and scored based on the official Beer Judge Certification Program. Brewing companies in the past have included Abita, Astorma, Deschutes, and Oxford! In addition, experience the Craft Brew Beer Garden! For $15, you’ll receive tasting glasses to try local brews and cast your vote for your favorite one in the “People’s Choice” category. You also get a complimentary pint glass to take home with you. No festival in Jackson is complete without the rhythmic sounds of live music! Each year at the Jacktoberfest, an ensemble of bands are slated to perform. Past talent included Dead Gaze, Passing Parade, 5th Child, Dream Cult, Swamp Babies, and Spirituals. Each of these wonderful artists brings their own unique style and flair to the main stages! After you experience our favorite Oktoberfest in Mississippi event, relax in your luxurious accommodation at Fairview Inn. Our historic boutique hotel in downtown Jackson showcases classic Southern charm, offers a gorgeous selection of relaxing retreats, as well as an onsite restaurant, spa, and lounge. Browse our guest rooms and select the ideal one for your unforgettable getaway! Each one of our suites boasts stunning antiques, spacious bathrooms, and views of our quaint property. Your perfect Southern escape awaits at Fairview Inn this year!